Join us at the new Riverview Goodwill Superstore for their Ribbon Cutting and to welcome them to the community on Wednesday, April 17th at 8 a.m. Refreshments will be served starting at 8 a.m. followed by the Ribbon Cutting at 8:30 a.m. 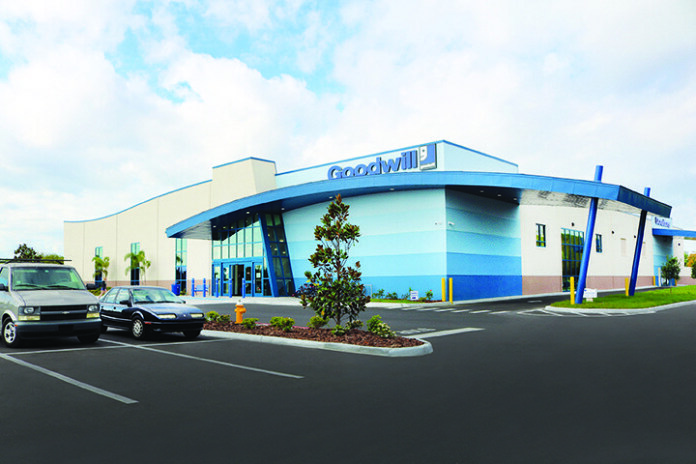 Guests will then be invited to shop when the store opens at 9 a.m. Goodwill’s newest superstore just opened on April 6th and is located at 10739 Big Bend Rd., just east of U.S. 301. Come learn about the mission behind Goodwill’s retail operations and about the new Job Connection Center opening at the store this summer. The Job Connection Center will offer free employment services to anyone who needs assistance. The 27,700-square-foot, Goodwill Industries - Suncoast, Inc. store also features a convenient drive-through donation lane to make it easy to drop off donations. The store has brought 32 new jobs to the area. Proclamation will be presented by Kerin Clarkin, Honorary Deputy Mayor. The Goodwill Superstore is located at 10739 Big Bend Rd., just east of U.S. 301 and near our good friends at the Tractor Supply Store.